This 34mm. 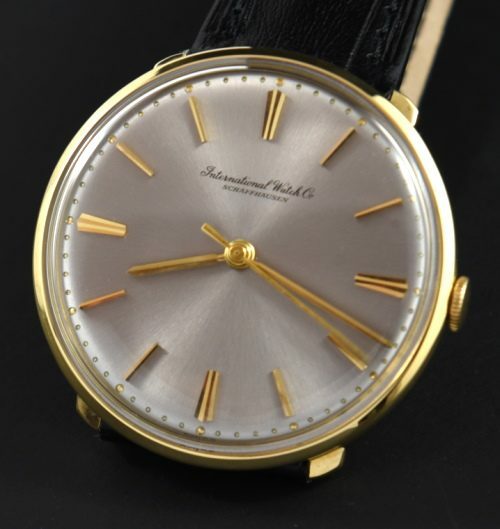 IWC vintage 1960’s watch is a very interesting example. Look at this pewter toned amazing looking (pristine) original dial with original raised gold markers and matching hands-wow! The very short lugs accentuate the dial, making the watch look larger than 34mm. The solid gold case displays excellent condition overall. The fine manual winding caliber 401 movement was just cleaned and is accurate. You are going to love this watch!